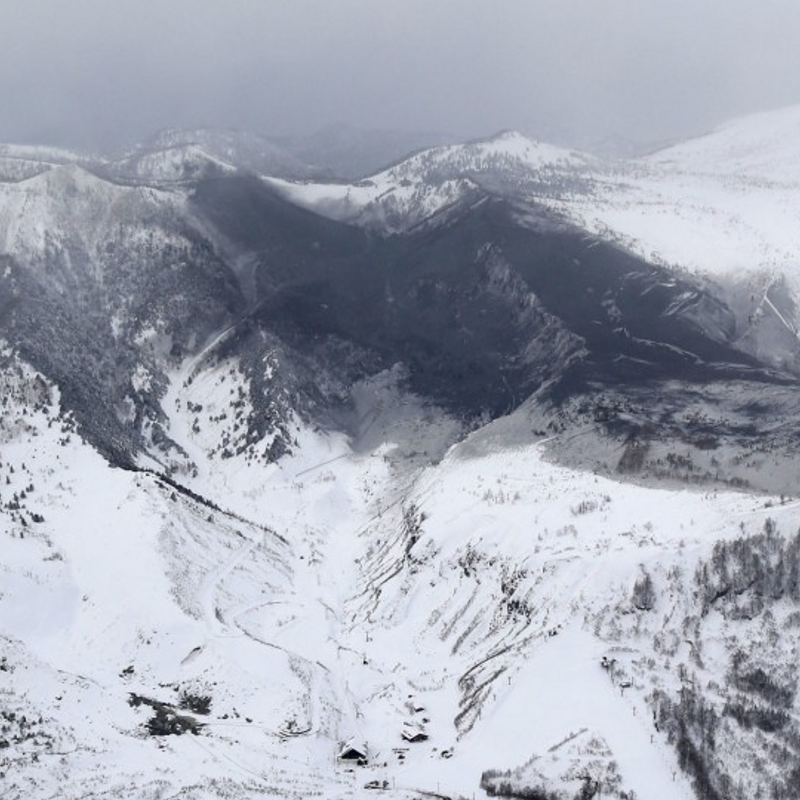 MAEBASHI, Japan - A Japanese Ground Self-Defense Force member died and 11 other people were injured as a volcano erupted Tuesday morning near a ski resort in eastern Japan, spewing cinders and possibly causing an avalanche, the government and local authorities said. Mt. Motoshirane in Gunma Prefecture erupted around 9:59 a.m., and an avalanche reportedly followed shortly after, the Japan Meteorological Agency said. While a separate peak comprising the same Mt. Kusatsu-Shirane erupted in 1983, Mt. Motoshirane had been dormant for the past 3,000 years. The GSDF said a 49-year-old male member died, while Defense Minister Itsunori Onodera said five other members were seriously injured and two more sustained minor injuries, all due to raining volcanic stones. 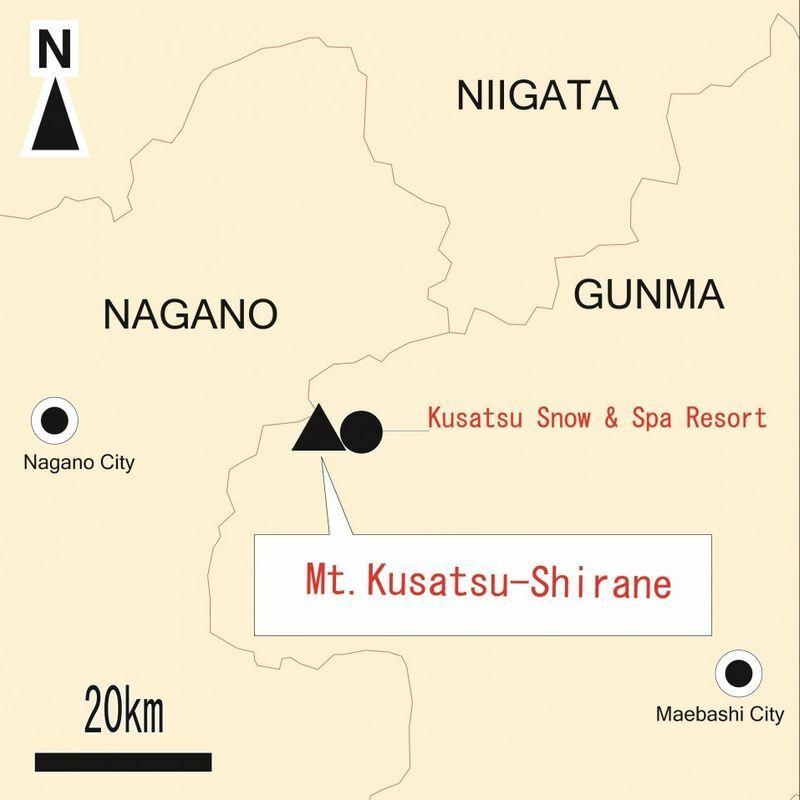 The GSDF earlier said they were likely hit by an avalanche. The affected were among a group of about 30 GSDF members taking part in ski training in the area. The GSDF said it is still investigating what happened. 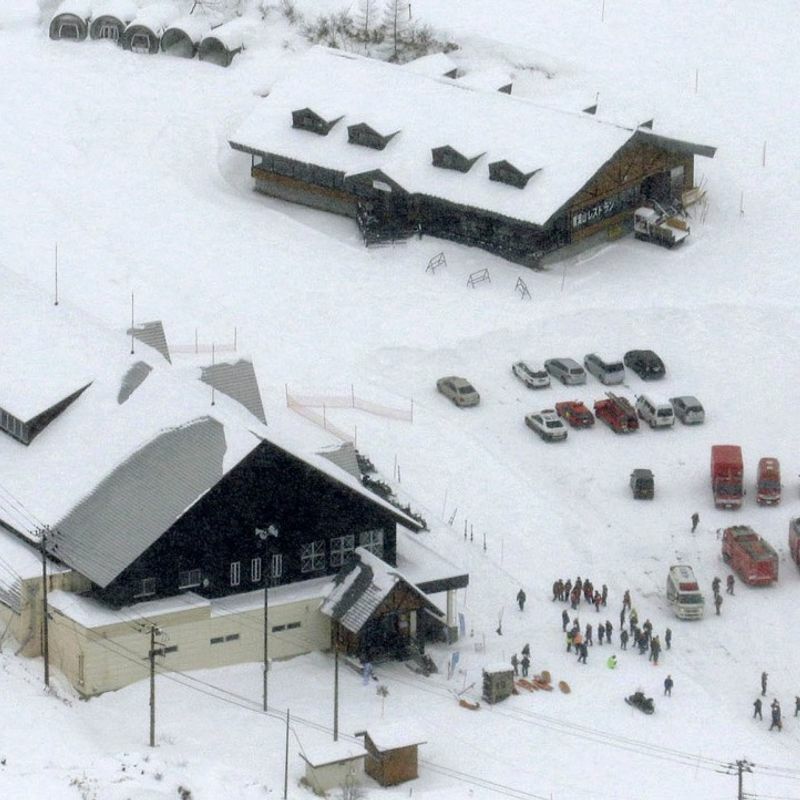 Volcanic stones also hit a gondola lift at the ski resort and injured at least four people on board with shattered glass and stones also crashed through the roof of a rest house to where about 100 people had evacuated, rescuers said. Local officials said Taiwanese and British tourists were among people temporarily stranded at a nearby mountain peak. A police source said at one point that the number of injured totaled 12, with two of them in serious condition, adding they included GSDF members. In the afternoon, Chief Cabinet Secretary Yoshihide Suga said one person died and 11 others were injured, and that the government has not learned of additional casualties or people missing. Video footage taken at the ski resort and uploaded on the internet showed black smoke and what appear to be volcanic stones falling as well as snow sliding down the hill. 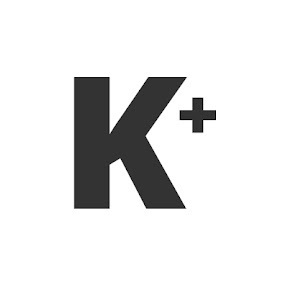 Tokyo Electric Power Company Holdings Inc. said a power outage occurred near the ski resort. Following the eruption, the weather agency raised the volcanic alert status to 3, a level that restricts entry to the mountain, while warning of large amounts of ash flying in the area. The agency said it could not raise the alert status earlier as it had not observed any data showing heightened volcanic activities prior to the eruption. Plume conditions remain unknown due to bad weather, but the agency said it is unlikely that deposits of ash will reach the nearby Kusatsu hot spring resort and residential areas. The central government has set up a liaison office at the prime minister's office to gather information on the eruption, while the Gunma governor requested the dispatch of the GSDF. Japan has 111 active volcanoes, and the country monitors the activities of 50 selected volcanoes among them. In 2014, Mt. Ontake in central Japan erupted unexpectedly, killing 58 people and leaving five others missing in the nation's deadliest volcanic disaster.